As for installing the plugin, you can put in a few places, one of which is in the sidebar menu which you can modify the appearance of the widget. Display this plugin more generally refers to visitors who are active live, so you can see the popularity of these blogs, and also to know when the blog is much visited. 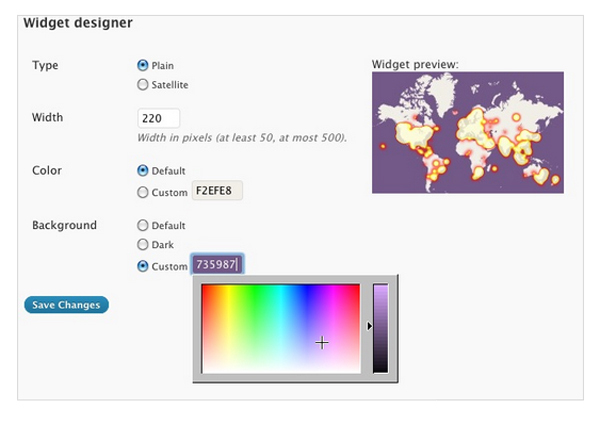 What is more interesting than the existence of this plugin is to display colors that are available, where we can make some changes from the view that we want. For some other menu settings, there are several categories that you can customize, such as by adjusting the needs and also the size of the existing sidebar on your blog. But most of the few menus on the plugin is already in the design in such a way, so you need not trouble to get an interesting view. From some of these widgets, you could also try to choose, think about what kind of widget to your liking.